It’s an odd thing, sitting in the dark with eyes focussed on the bright white screen. A tiny fly skis across the surface attracted by the glare. It doesn’t seem to notice or care that it is night time. Across the hall, the sound of deep snoring signifies that at least one of us is sleeping soundly in an otherwise still and quiet place. An orange street lamp shows the trees outside, gently undulating in the breeze. Why did they put those hideous lights up without warning? The dark was a comfort – the ability to gaze at stars and the occasional comet now spoiled by being ‘Tangoed’ in the sodium glare. There are no other signs of life on earth at one a.m. and on Twitter only restless souls and people from other places where it is not night. This is not the time for 140 character communication. The appeal of the warm bed is almost irresistible but minutes drag as changing position restlessly brings no reward. So here I sit, laptop on knee, cat snuggled up purring by my side, dog stretched out on the rug giving an occasional deep sigh, both slightly confused by the unusual sight of me in the dark, typing slowly on the illuminated keys. Each keystroke taking me one step closer to sleep. It was Saturday 10th June 1944. An identity check in the fairground. Then they were searching the buildings and we women were told to go to the church with the children. The children sang on the way there. It soon became clear that something was wrong when a large smoke bomb exploded. I managed to escape up a ladder behind the altar and threw myself to the ground outside despite being shot several times. I could hear the gunfire and smell burning bodies as I dug myself into the earth. 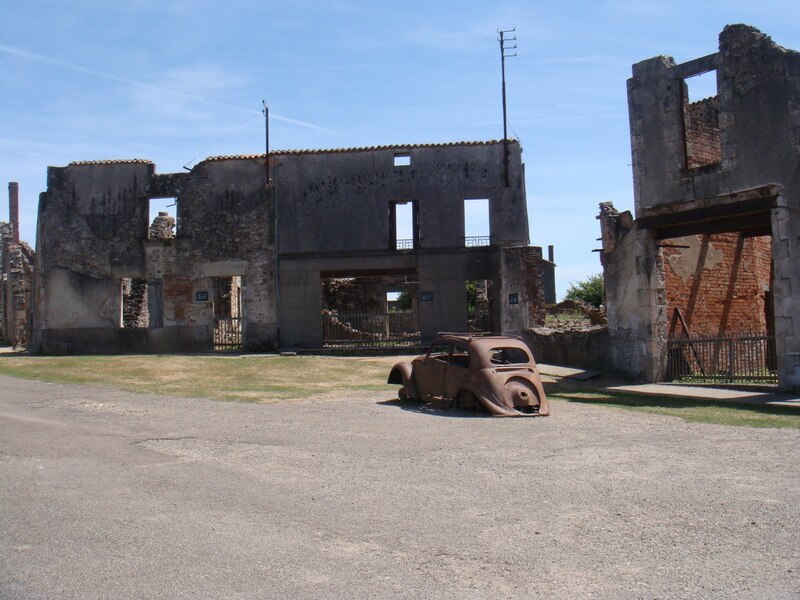 Their cries were heard across the hillside, the 642 inhabitants of Oradour-sur-Glane. Losing his job was bad enough, but this led to a host of other terrible events. His wife left, followed swiftly by a solicitor’s letter claiming half of everything. He had no choice but to pack up his goods and leave as the bailiff arrived and reclaimed his home. He sat on one of the boxes outside on the path. Inside one he found the dusty lamp. He rubbed it and saw his reflection, noticing the wrinkles on his face. ‘I wish I could stay just like I was 10 years ago’ he said. 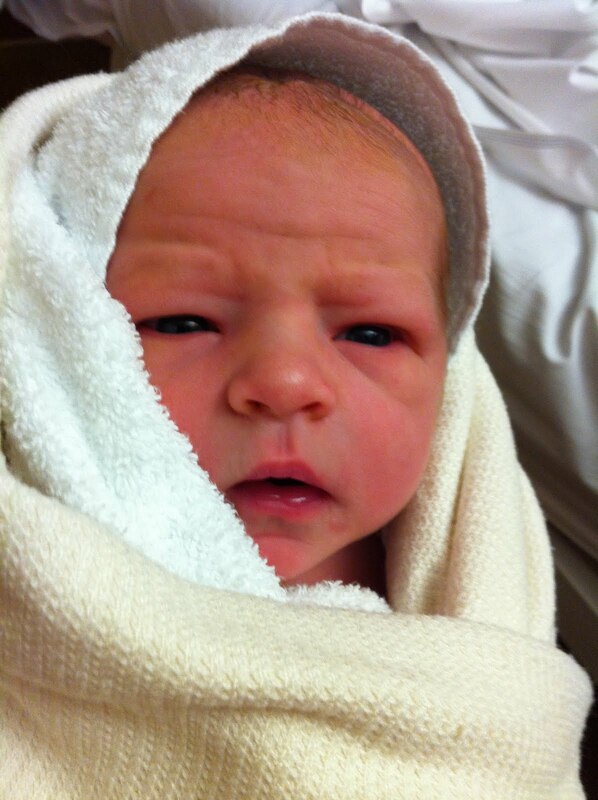 This morning at 2:48am, our little bundle of joy arrived. Weighing in at 7lbs 10oz,Jack Norman Bolton (Norman after his Grandad Bolton) slipped quietly from his warm cosy place of the last 41 weeks and into a lovely warm bath of water and then to the surface to meet his mummy, daddy and grandma. It was a fantastic experience and so very much different from Samuel’s birth. A lovely environment, dimmed lights, a fantastic midwife who had a great way of soothing everyone and keeping perfect calm in the room and quiet background music courtesy of Burt Bacharach. My daughter soaked in the lovely warm, blue water, using gas and air as necessary but barely making a sound. We all marvelled at his arrival, his first cry and the way he appeared when newborn – beautifully pink, skin like a soft peach and eyes opening to see what a strange new world he had entered. He gazed up into my daughter’s face, suddenly realising that this was the voice he had been hearing for so long. A labour of only two and a half hours left us all in a state of disbelief and wonderment. We would like to thank the staff at Hartlepool for an amazing experience. Nothing was too much trouble and the attention to detail was superb. This is certainly the way all babies should be born! The one thing that stunned us all was how much like Samuel Jack looks. 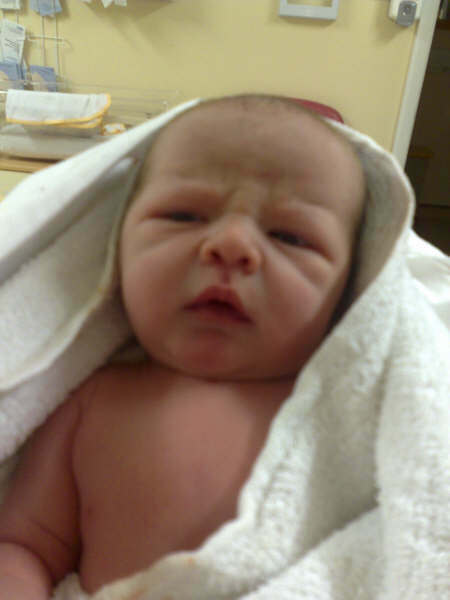 Here are two pictures – one of Samuel and one of Jack – each taken on the day they were born. Hard to tell the difference! She waited a long time for the right man to come along. Despite constant jibes from her mother about ‘being left on the shelf’ she felt that sooner or later she would meet him. A shopping trip late at night to her local Tesco, a search for sun-dried tomatoes, a turn into the next aisle and she looked up from her squeaking trolley to find him there. He was the one. Why does it always happen that just as something is about to go right, it all goes terribly wrong? She watched as the beautiful young woman approached, took his hand and led him away. I have revived and cleared out my blog as I hope to contribute regularly to the 100 Word Challenge for Grown-Ups. Why not give it a go too?